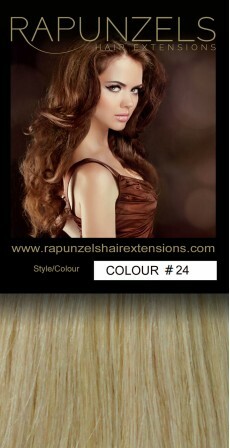 New to hair extensions and would like to have something to help you in adding length and fullness to hair? I-Tip hair extensions are just for you to transform your appearance completely and you can flaunt anywhere confidently. This type of hair extension can easily be used by any woman of any kind of hair, including- curly, messy, coarse, hair. When you go with the I-Tip hair extension it may contain 20 strands of hair, which will have a combination of strands - a small, shoestring-like tip and various others which are the best to hold all the individual hairs together. A strand is equal to 1 gram of hair and if you are looking for a full head of I-Tip hair you may need 100 - 180 strands of I-Tip for a perfect look and feel. When you go with I-tipped hair extensions, they can easily be attached to your hair using a Micro-Ring process which will involve pulling your hair through a small metal loop in the extension base. Have the best hair stylist to help you up in the same so that everything can easily be installed without creating any mess, pain and damage. Using i-tip and other high-quality hair extensions can help you in giving a completely natural effect; hence if you have quality extensions, the more natural they appear. Real hair blends are better than synthetic hair with your own hair as it looks natural and doesn’t look awkward at all. Apart from natural hair solution, if you would like to have value for your money, you can shop extensions from the United Kingdom and everything will be long-lasting. Apart from having high-quality hair extension, you better ensure taking good care of your extensions which may last forever. When it comes to buying hair extensions, you have to choose the right type of hair which must protect the hair strands for having a longer life compared to other kinds. There is no better market than UK to shop such high quality extensions and don’t forget they are graded and if higher the grade, the greater the quality and longer the life will be. They are the best for easy styling, hence when it comes to styling, you can use any kind of machines and if they are quality made extensions, they will last and when you’re done with a particular style, they will even return to its previous state in one wash. Apart from this, you better think about adjusting i-tip extensions as when hair the grow, it needs to be readjusted so they’re closer to the scalp again. It is important to have the best hair stylist for tightening extensions, unclamp each bead, remove the extension from hair and for better maintenance. It is important to think to organize each extension strand upon removal so that you can reattach each strand in the same position as before. For better results, it is necessary to consult with your stylist, and remember you better go with your choice and preferences as after all it's your hair and the hairstyle.